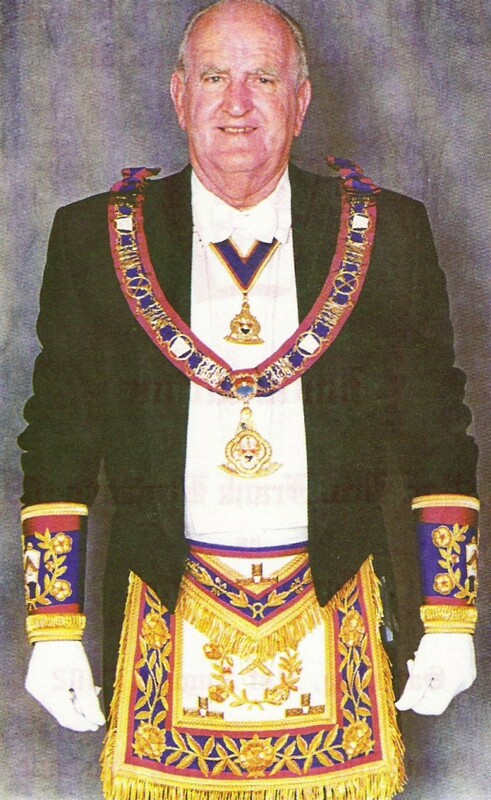 Today, we the Members of the Mark Order mourn the passing of Our Grand Master, Frank Miller. Our sincere sympathy goes to his wife, Jean, and his family and all who looked on Frank as an energetic, hard working, wonderful leader and friend and Brother. All of us in the Mark Order regarded Frank as indestructible. His enthusiasm, energy, personality and ability to get things done had a great affect on all of us and we all felt that everything would be right when he was in charge. The Mark Order strengthened under his leadership and we looked forward to the future with confidence. Unfortunately he’s gone and his passing has left a great vacuum amongst us. Most of us feel lost as indeed his family does and unable to comprehend this sad loss. We must not ask why as this would only compound our grief and regardless is a question without an answer. We know that his wish would be for us to continue on with the resolve that although he is not with us he would want us to bury our sorrow and keep going in the work that he wanted and with our help hoped to accomplish.